Light-zone your home. Concentrate lighting in reading and working areas and where it is needed the most for safety (e.g. stairways). Reduce lighting in other areas, but avoid very sharp contrasts. Save on lighting energy through decorating. Light colors for walls, rugs, draperies and upholstery reflect light and therefore reduce the amount of artificial light required. Clean lamps or bulbs regularly. Dirt diminishes illumination by as much as 50 percent. A clean dry cloth should easily accomplish the job. Change the ballast when fluorescent light continues to blink even when switched off. Worn-out ballast not only causes high electric bills but it also poses danger. Gas discharge lamps (e.g. 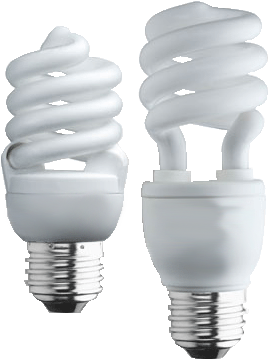 mercury, fluorescent or sodium) are more efficient that incandescent lamps. Turn off the lights in any room not being used.